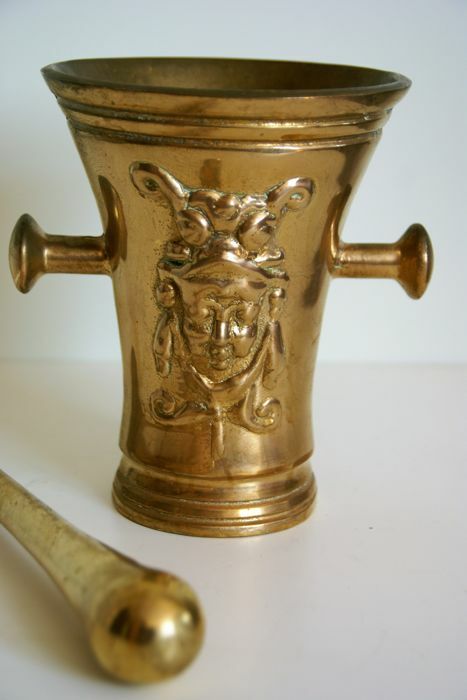 Beautiful heavy bronze mortar 5,2 kg with two putti/angel face on the both sides. 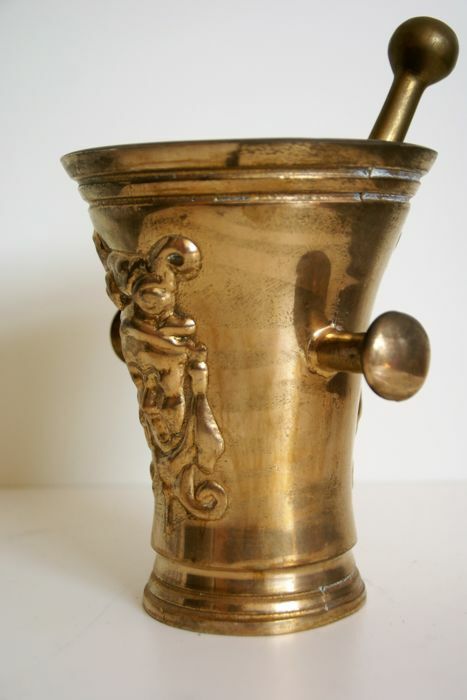 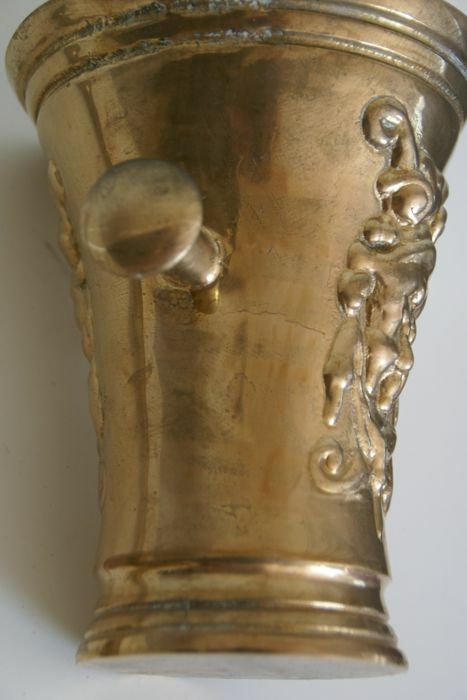 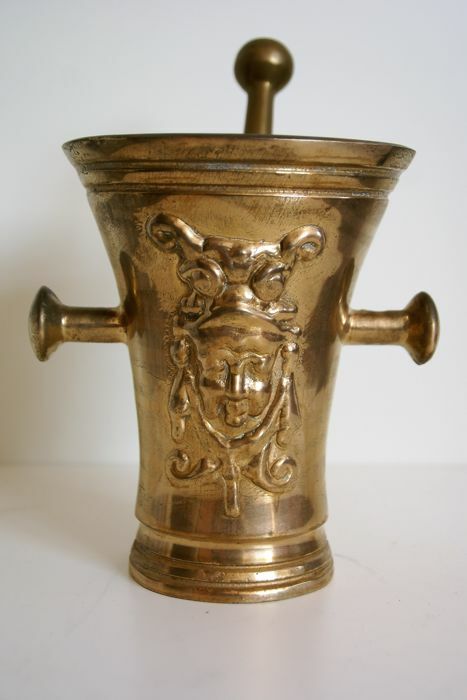 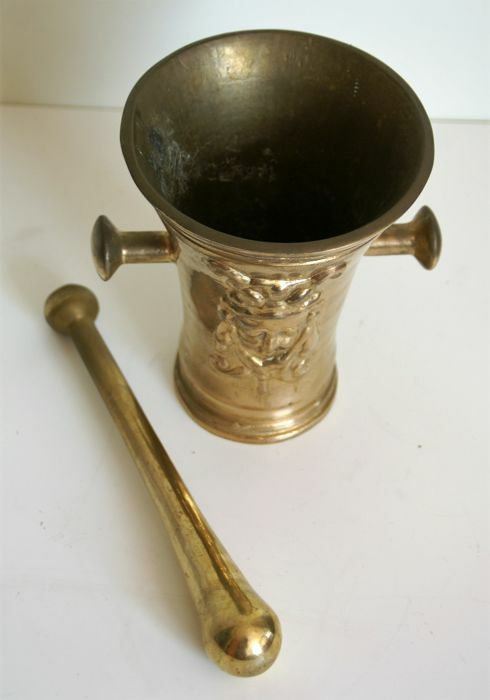 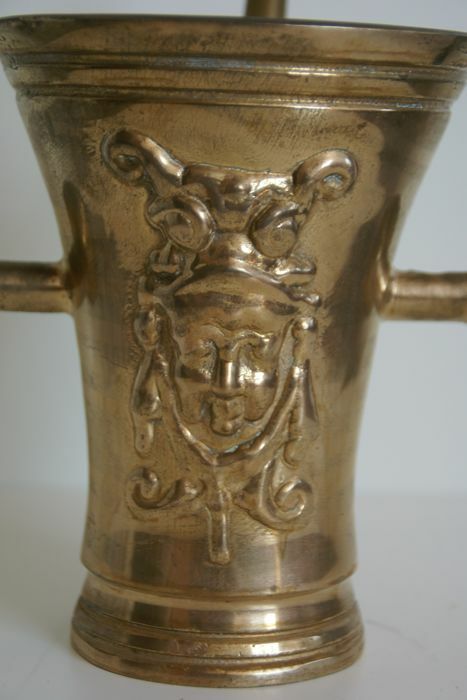 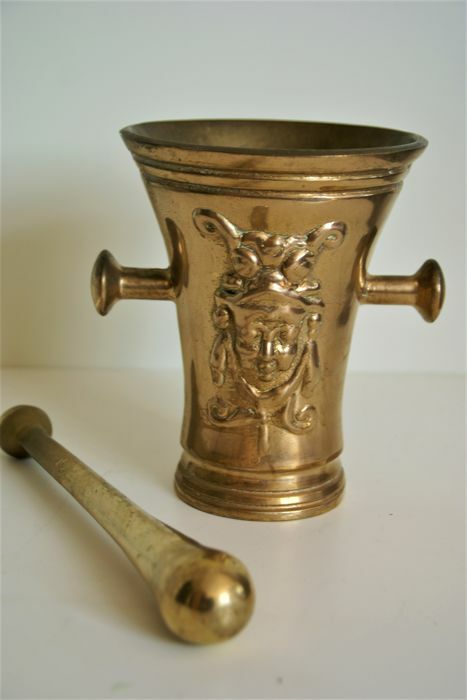 Beautiful heavy bronze mortar with two Angel/putti face on the sides. 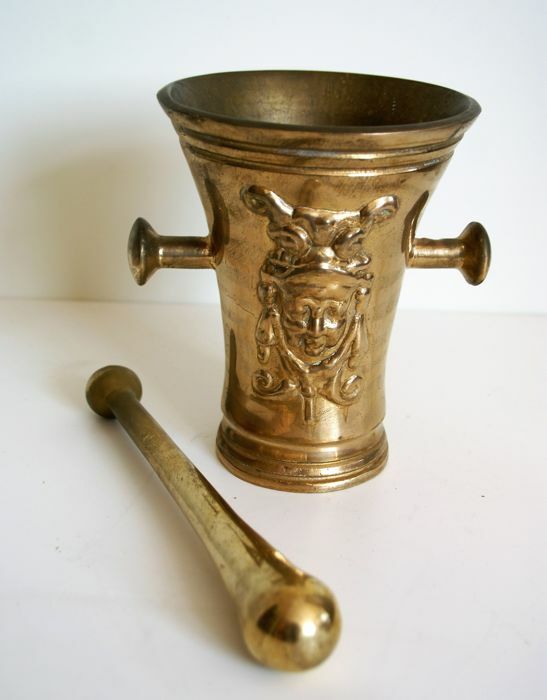 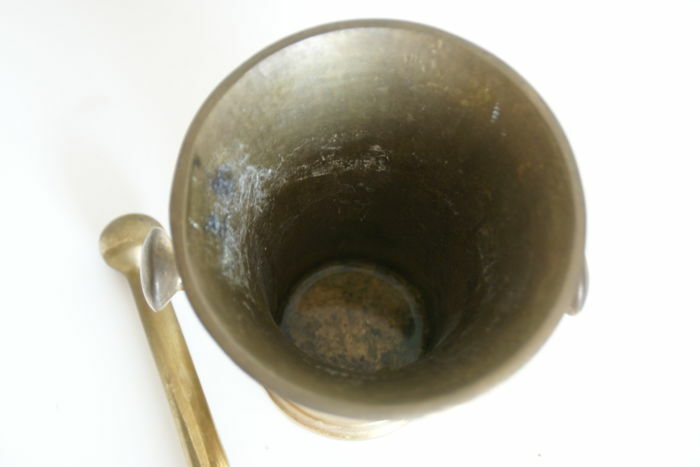 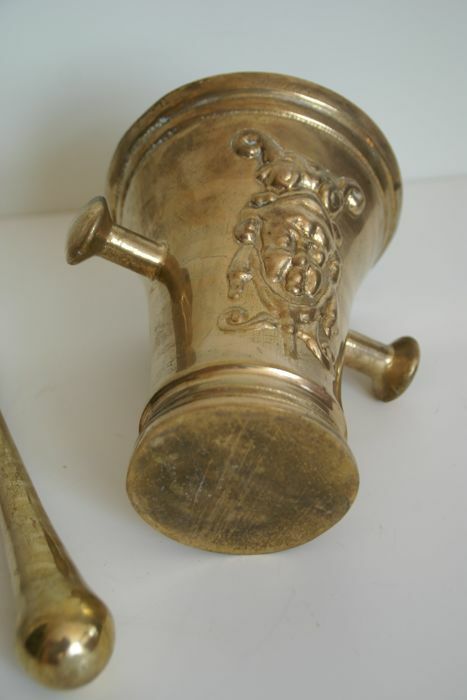 The mortar is 17 cm high and 15 cm wide the pestel is 23 cm long.